Our Wonderful Supporters! Green Thumbs would not exist without them! If you would like to join our list of amazing people who are helping our school to be a happier healthier place please contact us. John kindly mows, snips & trims all our grass areas in his spare time! Thanks John!!!!!!! We love your commitment & enthusiasm towards our school! Plant Inspirations kindly donated a mass of olive trees and lavender & rosemary plants! Kingston City Council donated 2 x 25 litre liquid drums with tap dispensers to store & dispense our worm wee safely. Mudd Kids donated over 20 cherry tomato plants to build our Green Eating Wall! Green Scene Organic Food and Plant Nursery donated lots of seeds, seedlings, a banana palm tree! They also donated 3 passion fruit vines for the green eating wall as they are Mr Jones favorite! Oasis Horticulture donated 4 trays of seedlings! Planet Organic donated spices for our canteen smoothie days! Decor have donated kitchen storage containers to freeze fruit, ready for upcoming canteen smoothie days! beautiful "Magestic" strawberry plants perfect for the local climate. Daisy's Carrum Downs donated 6 cubic meters of organic soil. Desertscape by design has donated a handmade sculpture to the school. 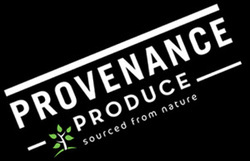 Provenance Produce have donated 3 Sheep hearts to plant under the 3 Passion Fruits. This provides the plant with iron & nitrogen, and then synthetic fertilizers are not required. If you haven't already, head down to the Chelsea Arcade! Pebble Bridge have donated garden signs to make our garden more impressive! Gardenworld kindly sent us a $50 gift voucher to spend on any product we need for the vegi patch! Premier Pavers have donated 10 pavers to enable us to create a hopscotch with the garden area!